I asked her if it might be pink eye. She said she had had that once. Then I said I would look in the Spooky2 database for Conjunctivitis. 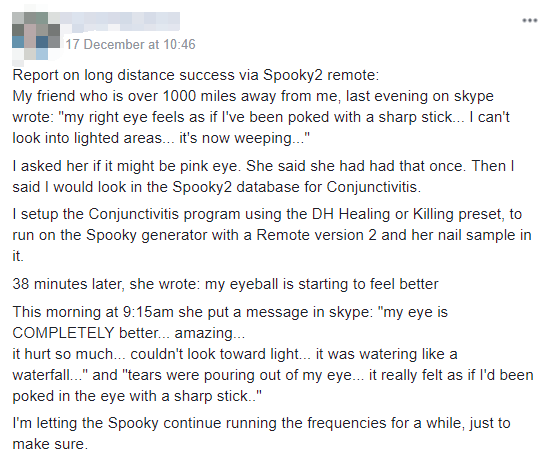 I setup the Conjunctivitis program using the DH Healing or Killing preset, to run on the Spooky generator with a Remote version 2 and her nail sample in it. I’m letting the Spooky continue running the frequencies for a while, just to make sure.